According to family members, Reis had post-traumatic stress disorder, and had served in the Special Forces. The Times Union found publications from the 109 Airlift Wing mentioning a man named Edward Reis, and noting that he had awarded the Air Force Commendation Medal. 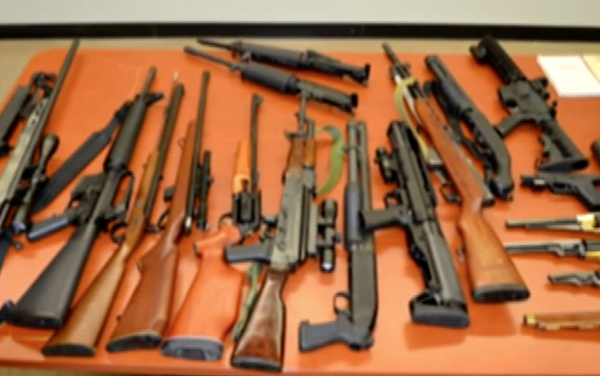 Police in the Capital Region have arrested a man described as emotionally disturbed who had an illegal arsenal of weapons and explosives, and had threatened to "euthanize" himself. Edward J. Reis, 43, is facing numerous charges, including weapons and forgery charges, after police uncovered a grenade launcher, grenades, dozens of high-powered weapons and an AR-15 style rifle at his home, The Albany Times Union reported. Albany County Sheriff's officers received a call saying that an emotionally disturbed man "wanted to go to Arizona and euthanize himself." Police were unable to find him at his home, but discovered the weapons cache and materials commonly used to make explosives in a locked room.